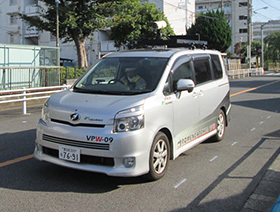 The ROMEN CATCHER VPW is a road surface condition survey vehicle that enables simultaneous acquisition of the vertical direction accelerations, road surface images, and the cross sectional conditions, which can be utilized to make comprehensive inspections of road paving. 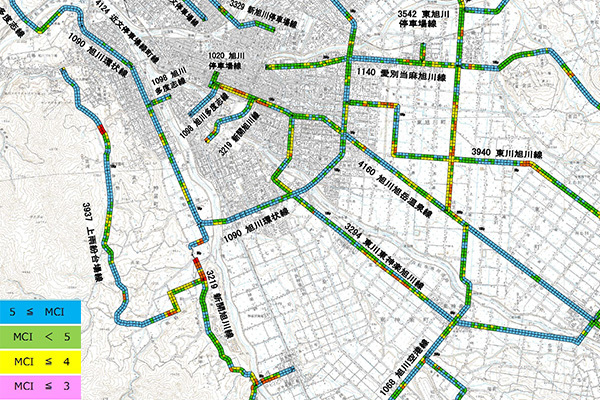 It reduces the work carried out on the roads as far as possible, allowing safe inspections to be carried out. Visual evaluation of the rutting by displaying the cross section condition and the road surface images on a personal computer indoors, and referring to the photographs for comparison judging. 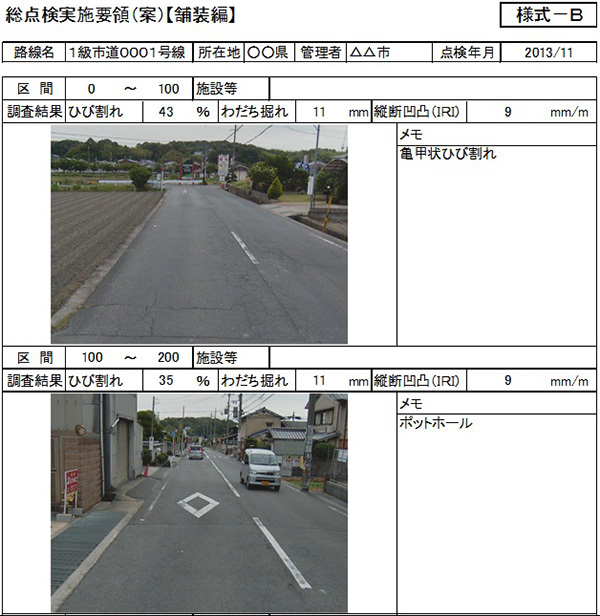 Visual evaluation of the road crack ratio by displaying the road surface images on a personal computer indoors, and referring to the photographs for comparison judging. Counting of the number of patches in the evaluation section from the images. Additionally, from the survey results, the following types of outputs can be created.